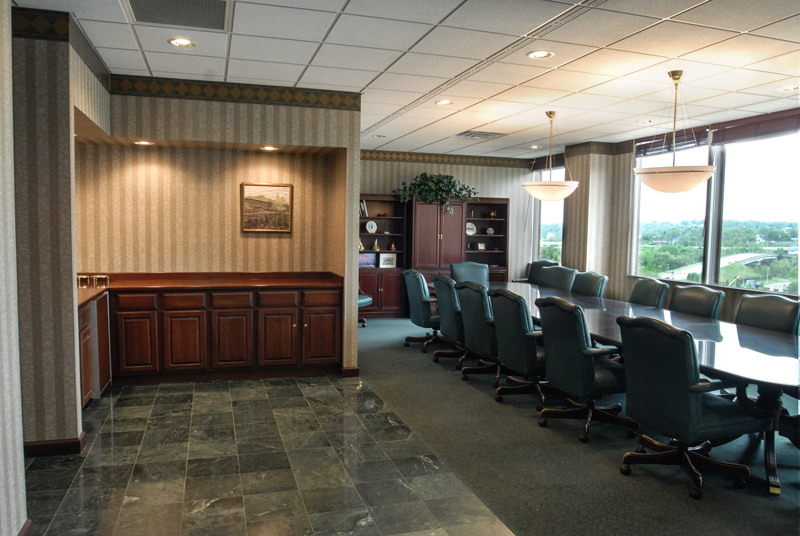 Since 1975, Ohio One Corporation has been providing premier commercial office spaces in Youngstown, Ohio. Our locations, affordability and tenant-focused service make Ohio One Corporation the leading property management corporation in the Downtown Youngstown area. Ohio One Corporation is a full-service real estate company that specializes in Mahoning County commercial real estate. The maintenance staff of Ohio One Corporation has over ­­163 years of combined experience. So … if you’re looking for a downtown location where superior amenities and service come first – you’ve come to the right place. The Ohio One Corporation provides tenants with a professional environment to comfortably conduct business while affording them an unmatched level of service and amenities. The Founder of Ohio One Corporation, Richard E. Mills, was a man who possessed a remarkable combination of energy, passion, and vision, as well as an unmatched devotion to his beloved city. While the president of Fullerton Transfer & Storage, Richard employed those strengths as he began changing the skyline of downtown Youngstown by constructing new office space and renovating older structures and historic buildings to meet the increasing demand for distinctive office environments by the professional community. Despite his amazing accomplishments as a builder, one of Richard’s best-known possessions was his unique office conference table – a large, round marble table that was acquired from one of the transfer and storage company’s customers – General Fireproofing. When he moved his offices into the newly constructed City Centre One Building in 1973, the beautiful marble table came along. Today that beautiful table is set in the floor of the atrium of the Commerce Building where you can now view a large diamond surrounding the table symbolizing his wife, Carole, and four small diamonds representing each of his four children. Since 1990, his son, also named Richard E. Mills, has navigated the Ohio One Corporation as its president. As Senior VP/Director of Operations, Bart oversees virtually every aspect of the day-to-day operations of all Ohio One properties from the construction of tenant improvements to the move-in. To our tenants, he remains one of the most visible members of the team and the one they rely on to ensure that everything continues to run smoothly. Ask any of our tenants what is important when leasing professional office space, most often the subjects of cleanliness and security are near the top. In his job, overseeing a 25-person security and housekeeping staff with an average tenure of 15 years, John continues to provide an unmatched level of high-end service. He is also responsible for the management of all contracts, purchasing, and procedures. Considering northeastern Ohio’s weather extremes, it’s Ken’s responsibility to keep our tenants comfortable all year long. A true HVAC professional, he is certified by the Refrigeration Service Engineers Society. Since 1987 Rodney has dedicated himself to being proactive when it comes to maintaining Ohio One properties. Our tenants also consider him the ‘go-to guy’ for any unexpected problem that may arise whether mechanical, electrical or plumbing related. His wealth of talent makes him an invaluable member of the Ohio One team. Bill knows each of our buildings inside and out, and considering the fact that each of our properties is unique, his wealth of experience and knowledge is key to maintaining the tens-of-thousands of square feet owned and operated by Ohio One.